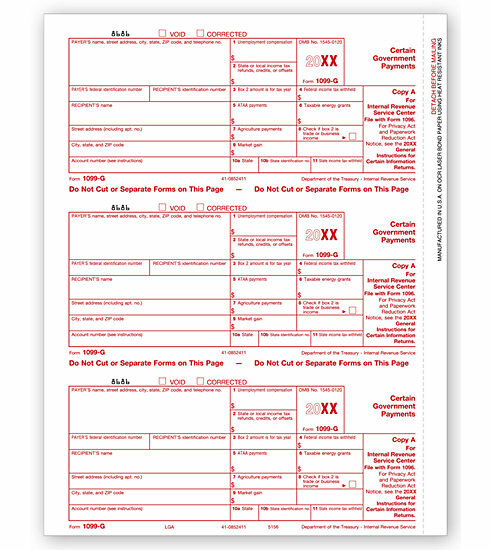 Meets all government and IRS filing requirements.Popular format is ideal for reporting certain government payments. Amounts to Report: $10 or more for refunds and unemployment. Use to Report: Unemployment compensation, state and local income tax refunds, agricultural payments and taxable grants.